Shanghai-based foodie and restaurateur Lindsey Fine (aka Veggie Mama) has been creating all sorts of delicious vegan recipes since moving to China eight years ago. 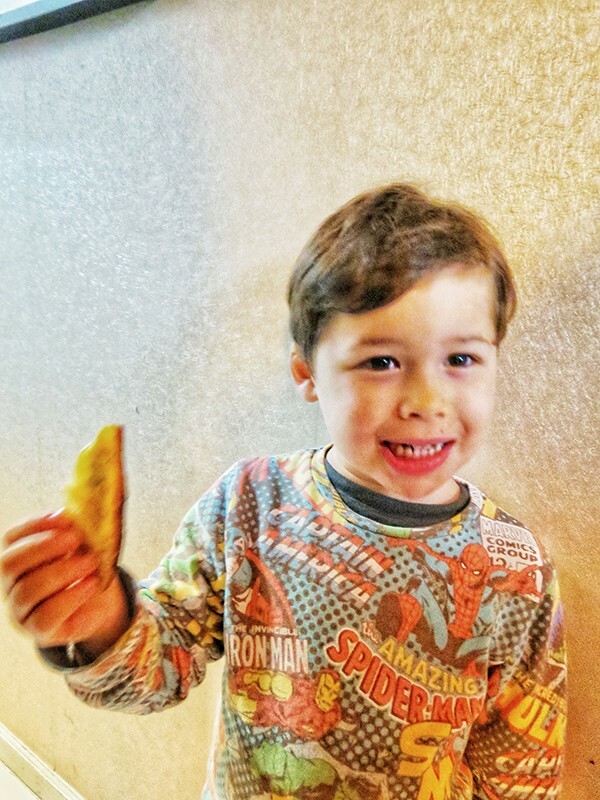 You can read all about the perks of eating a plant-based diet via her blog Veggie Mama and sample recipes on this series, Cooking with Veggie Mama. In this edition, Lindsey shares her recipe for Red Wine Balsamic Cauliflower Roast. China might be famous for its dumplings but it can be a bit tricky to find purely vegan versions. As we all know, most dumplings in China are pork-based and even many veggie dumplings contain eggs. But the good news is it's totally possible to enjoy veggie dumplings that are just as delicious and filling as their meat and egg-filled cousins. 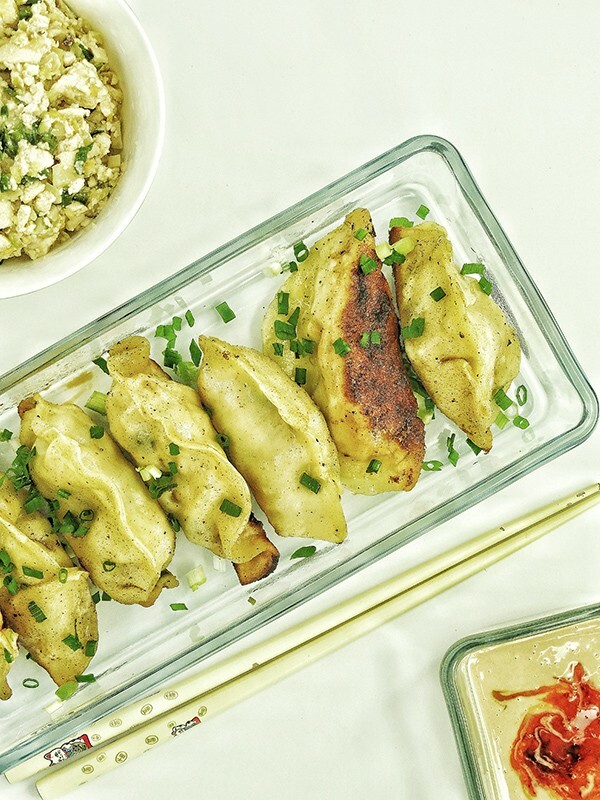 These pot stickers are pan-fried and then steamed to perfection, making them a bit crispy on the bottom and delightfully chewy on top. The best part of making these at home is that the whole family can get in on the action. My 4-year-old son loved making these and was so proud of his creations. They're also super cheap to make since all of the ingredients can be purchased at your local wet market. Be sure to make a ton of these babies because they will go fast. To make things even more delicious, you can dip them in any concoction you like. I prefer a mixture of soy sauce, vinegar and a dollop of chili garlic sauce but feel free to get creative! 1. Heat wok over medium heat and add cooking oil. Add ginger and cook for 2 minutes until fragrant. 2. Increase to medium-high heat and add tofu, mushrooms, Chinese cabbage and chives to the wok. Add salt and stir. Cook for about 5 minutes, stirring frequently until mushrooms and cabbage have sweat out their water and it has cooked off. 3. Add soy sauce, vinegar and white pepper. Taste and adjust seasonings as desired. Cook for 2 more minutes, lowering heat if necessary, until cabbage is soft and flavors have combined well. 4. Remove from heat and add sesame oil. Stir well to combine. 6. Prepare approximately 1 cup of filtered water and place next to the cooking area. Clean out the wok and then heat over medium-high heat. Add about 1/2 tablespoon of cooking oil and place 8-10 dumplings in the wok. Cook for about 2 minutes until they are nice and golden brown, taking care not to burn them. Then carefully add about 1/4 cup of water to the wok and immediately cover. This will finish the cooking process by steaming the dumplings. After 3-4 minutes, remove the dumplings from the wok and repeat until all of the dumplings have been cooked. Plate and garish with sliced scallions and serve with your favorite dipping sauce. Enjoy!